It’s true. At first glance one might even think that it is a complex operation, one that requires the support of a friend or a “smanettone” cousin. Instead, with a little effort and patience, anyone can set up your home Wi-Fi router when you first switch it on. An important operation for a long series of reasons: it allows to optimize the home LAN and surf faster (thanks to services such as Quality of Service , for example); allows you to connect devices such as hard drives and printers and make them accessible and usable by all users on the network. 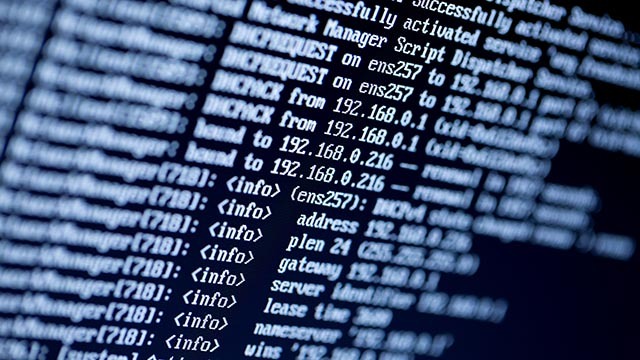 Above all, however, it improves the security of the home network and complicates the lives of hackers and cybercriminals who would like to access data in our electronic devices. 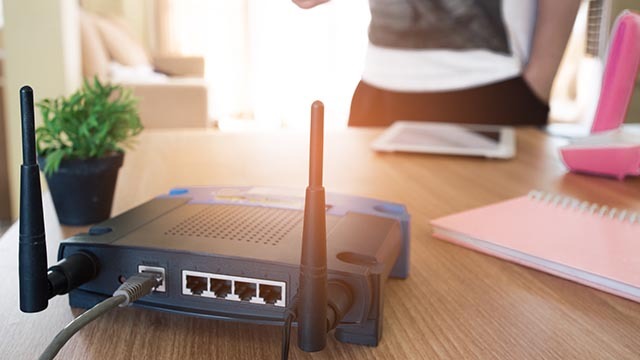 From the Wi-Fi network (and therefore from the router), we spend most of our data and information online: setting up Wi-Fi routers correctly, in short, can help you avoid online identity theft . In addition, to make life easier for users, many manufacturers have created apps that allow you to configure routers from smartphones: just connect to the Wi-Fi network and start the application to change the Wi-Fi settings and have a high-performance and secure home network . In the event that your router is not supported (or the manufacturer has not yet made the app), do not worry: as mentioned, configure router is a simple operation all in all, which will take away a few minutes. The first step to take when configuring the router has nothing to do with the web interface and device settings. Fundamental, with a view to a home network that works best and offers the best possible performance, is to position the router correctly. In order for the wireless network to reach all rooms without creating a black spot, it is necessary to keep the router away from load-bearing walls or beams, so as not to shield the radio signal. And do not forget that Wi-Fi works on the same frequencies as the cordless phone and the microwave(just to mention two devices among many): if they were positioned close to the modem router, expect interference and noise to worsen the range of the network device. Once you have identified where to place the router, you can move on to the actual configuration process. To access the management panel, however, you will need to find out its private IP address and type it in the address bar of a browser. Typically, the Wi-Fi modem router can be reached at the IP address 192.168.1.1 or 192.168.0.1, but it all depends on the decisions made at the design stage by the device manufacturer. In the event that the two IP addresses written above do not work, try to take a look on the packaging of the router or on the instructions: in case even this attempt should give the expected results, you just have to arm yourself a little of patience and follow the instructions to find out the IP address of the router. In Windows you will have to access the Command Prompt , type the string ” ipconfig ” and give “Enter”: in the screen look for the default Gateway line , where you will find the IP address of the router. MacOS users , on the other hand, must access the System Preferences , double click on Network , access the connected support card (Ethernet or Wi-Fi), click on the Advanced button and select the TCP / IP tab . At the router you will find the IP address you are looking for. After discovering the IP address of the router, you will be able to access the device management panel. Open a browser, type the address you just found and press “Enter” on the keyboard: in a few seconds, you should see an alert in which you need to enter the username and password to access the panel. This is a security measure to prevent any user connecting to the Wi-Fi network from safely accessing the router’s settings. At the first access, you must use the credentials set by default by the device manufacturer: usually, it is the “admin-password” or “admin-admin” couple. Should you fail to access these keys, it is advisable to consult the edges of the box or the instruction booklet. Once logged in, remember to immediately change the username and password to access the router: as you may have noticed, these are rather simple credentials to guess and therefore not very safe. Therefore, to improve the security of the LAN, it will be better to choose a secure username and password. After this further obstacle, you have to search the Internet or Internet settingitems in the menu or wait for the network device to display a window to start its configuration wizard (in this case, a pop up with “Configure” may appear “or” Wizard “). At this point, it is possible to set the values for the connection provided directly by the ISP (an acronym for Internet Service Provider ), ie by the Internet connection provider. In the Vpi field (Virtual Path Identifier) enter the value 8, in the Vci field (Virtual Channel Identifier) the value 35. These are two fundamental values for making a connection to the Internet: they allow to establish the path and destination of the data packets that transit in the Network. The Vci establishes which channel is used to pass data on the Internet, while the VPI establishes the path to follow. In case the ISP uses the PPPoE protocol it is necessary to set Encapsulation on the value of VC Mux and mtu (acronym of ” maximum transmission unit “, maximum transmission unit in Italian) on the value of 1500 ; if the protocol is PPPoA then set Encapsulation on the value of mmc and mtu on the value of 1492 . The mtu indicates which is the maximum size of a packet traveling on the Net: if the configuration is based on PPPoE packages can travel no larger than 1500 bytes, if instead it is based on PPPoA protocol the maximum size is 1492 bytes. All packages that exceed this threshold will be decomposed into smaller packages that respect these values. 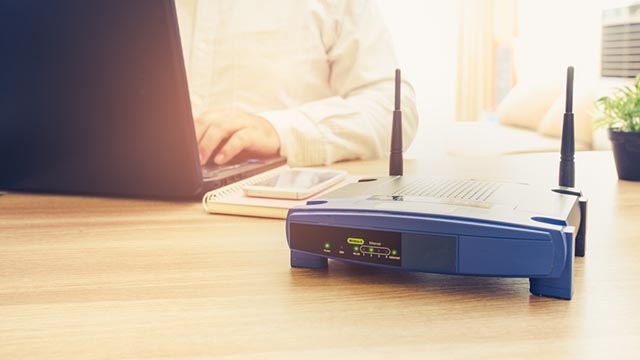 Once the connection to Internet has been correctly set up and it has been working, it’s time to think about the security of the wireless network. 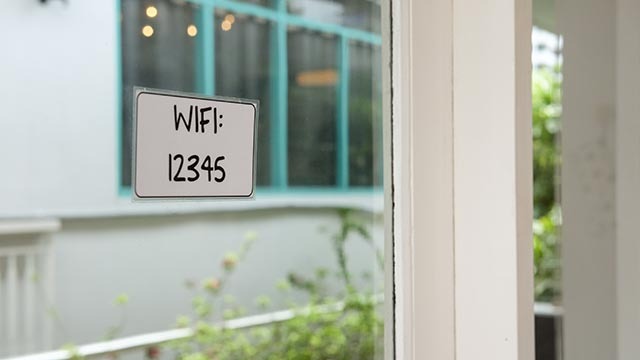 The IEEE 802.11 Wi-Fi protocol offers users different security protocols based on different encryption keys: the most secure protocol is WPA2, capable of offering 256-bit encryption. When choosing the security protocol, it is also worth creating a secure password, which shields the network from attempts to attack brute force: a good solution can be to rely on the diceware and create a complex passphrase, but at the same time simple to remember. Those just seen are the basic steps to follow to set up the Wi-Fi router the first time you turn it on. The network device, however, offers many other options to configure, so as to improve its performance and extend its functionality. 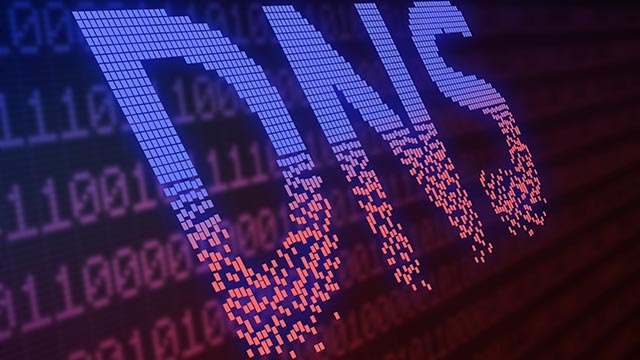 In the case of slow navigation, for example, it is worth trying to change DNS (even if the Domain Name System provided by ISPs usually have excellent performance), or follow the path of Quality of Service and give different priority to the different types of data packages. Or, again, set up port forwarding and ensure that devices such as consoles are not limited in their access to the band from incorrect configurations.